University Professor, emeritus, University of Amsterdam. Henry Waldgrave Stuart Professor, Stanford University (philosophy, CSLI). Jin Yuelin Professor, Tsinghua University Beijing (philosophy) and co-director, UvA-Tsinghua Joint Research Center in logic. 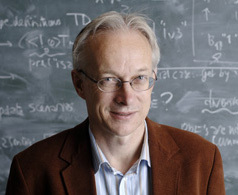 Founding director, Institute for Logic, Language & Computation ILLC, Amsterdam. First chair and honorary member, European Association for Logic, Language and Information FoLLI. Recipient Dutch national Spinoza Award, project Logic in Action. Member, Royal Dutch Academy of Arts and Sciences KNAW, Academia Europaea AE, Institut International de Philosophie IIP, and American Academy of Arts and Sciences AAAS. Milestones: 1999, 50th anniversary collection JFAK, ILLC Amsterdam. 2009, Special 60th Anniversary Issue, Journal of Philosophical Logic. 2014, Logic and Information Dynamics, Outstanding Contributions to Logic, Springer.